Best quality and great printing ... I love this shirt!!! Awesome top this, great quality and a great fit. Went for XXL as I am a big lad and this is spot on. I bought it in the sale and used a discount code as well so the price was just amazing. 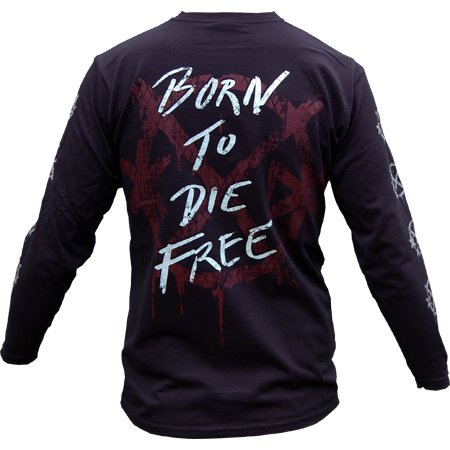 A great long sleeve!! Just in time when it was cold outside !!!!! 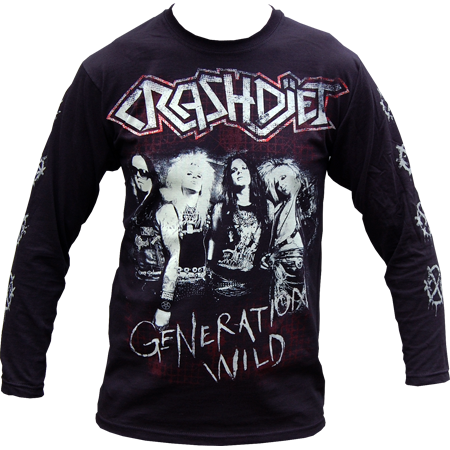 Thanks CRASHDIET!!!!! I love this shirt. It looks good, it feels good and it's real good quality. Ok, everything in this webshop is good quality. Even my colleagues commented on it *G* I would buy this baby again any time. Keep up the cool merch, guys! See all 28 customer reviews. S 48.5 cm / 19" 69.5 cm / 27.25"
M 53.5 cm / 21" 72 cm / 28.25"
L 56 cm / 22" 74.5 cm / 29.25"
XL 61 cm / 24" 77 cm / 30.25"
2XL 66 cm / 26" 78.5 cm / 31"